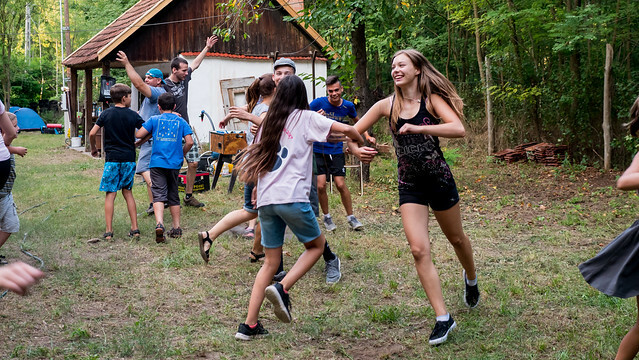 Above: Just off the heels of our VBS in Jászfényszaru, we held one of our last camps for the summer for teens. 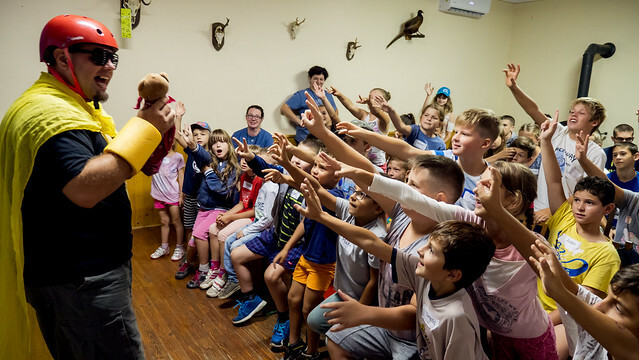 As with our VBS outreach, this camp has grown over the years and is a great opportunity to continue to share Jesus and His truth with all of them. Above: Zsolti (center) is the owner of this plot of land and a member of the church in Jászfényszaru. He and his wife Zita have done so much in helping us have a great campground for the teens every year. 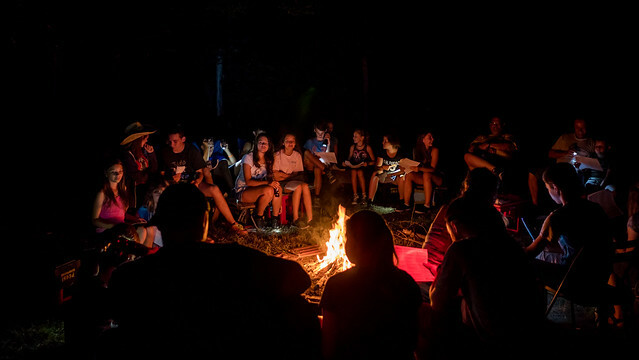 Above: After the various events of the day with singing, teaching, games and crafts we would end each day around the campfire focused on teaching what God’s word tells us about friendship. 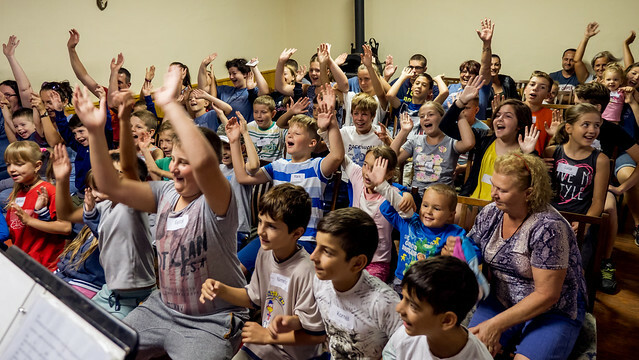 There were various people that gave their personal testimonies and there was also opportunity in small groups for the kids to discuss various aspects of what it means to be a friend and what God’s word reveals on the subject. Praise God for a good few days of quality time with all of these teens who will be off to begin their new school year in just a few weeks. 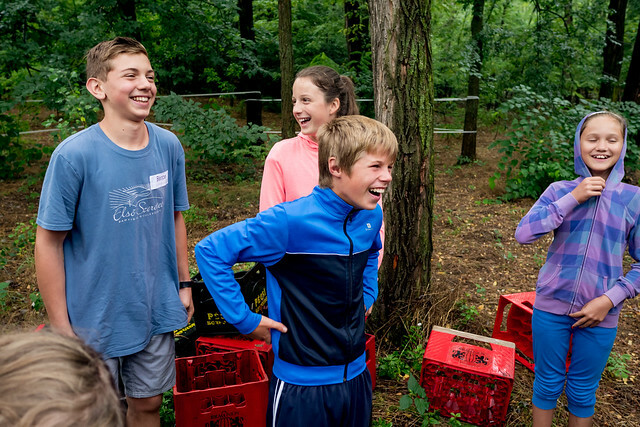 We trust that this camp was a great encouragement for all of them and helped them to understand what God teaches us about friendship. God is moving among this new generation and drawing them to Himself in love. May those who have made decisions continue to be strengthened in Christ and find continual encouragement from the body to be strong through the challenges ahead. And may those who have not yet made a decision continue to consider all that was shared and turn to Jesus as their personal Lord and Savior. 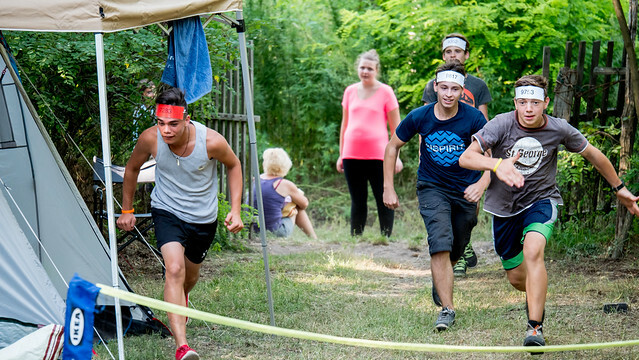 It was encouraging seeing pictures from the Petofibanya VBS that our team served in while we were in the States. 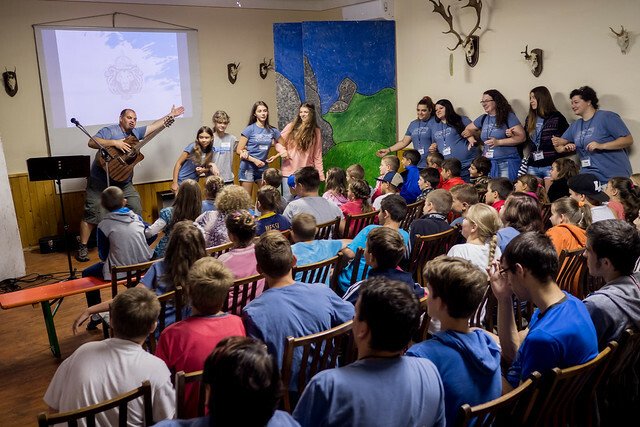 We were so thankful to be reunited with them and being able to serve with them in English camp a few weeks ago and in this VBS in Jászfényszaru this past week. 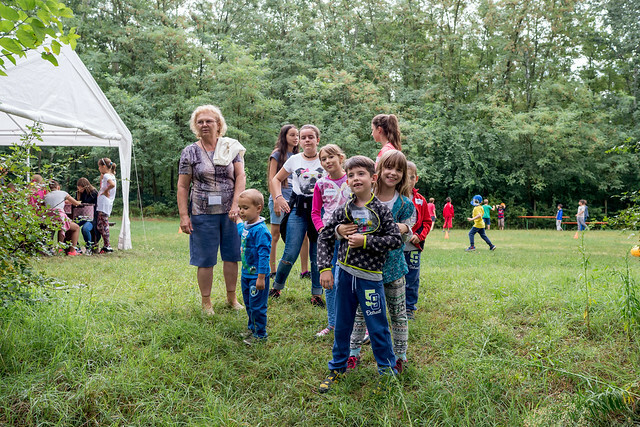 Since VBS had been working so well over the years in Petofibanya in reaching kids and parents, the Lord directed us to do the same in Jászfényszaru where we have been doing outreach for the past few years. 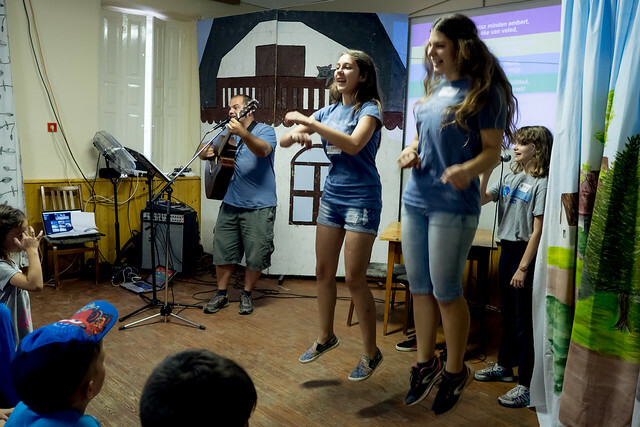 This year is only our second VBS in this town, but it is clear that God is using it already to extend His love and His salvation in Christ to those who were able to attend. 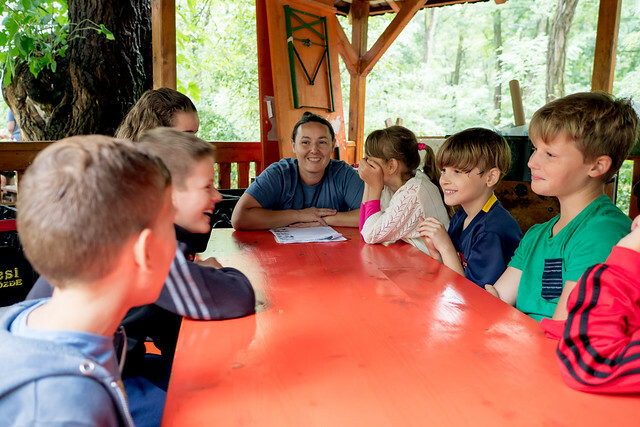 Above: This family attended the VBS in Petofibanya for the first time in July and were so deeply touched by all that happened there that they began asking more questions about God and sent their son Bende to attend VBS again in Jászfényszaru this past week. 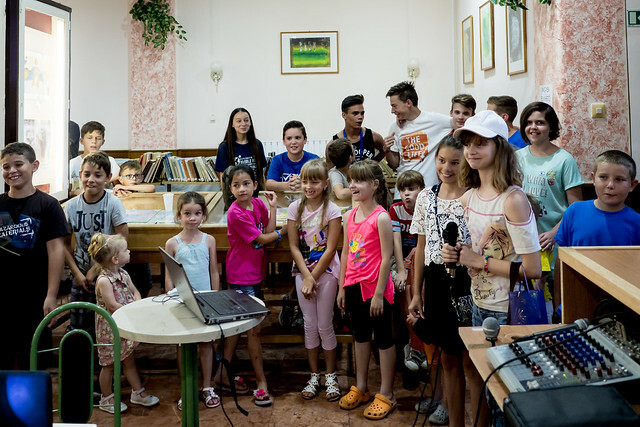 They live in the neighboring town of Lorinci and (just minutes away from the church in Petofibanya) they have already visited our worship service and we ask you to pray for them as they continue seeking. 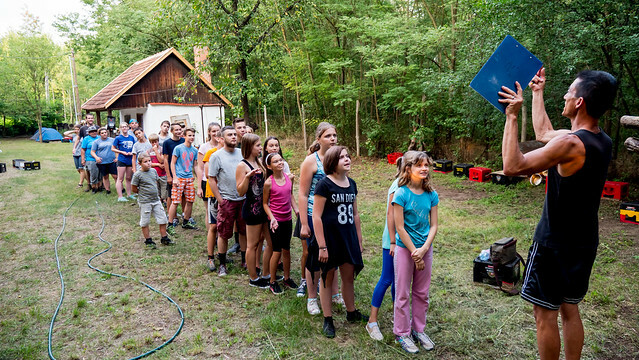 Above: Krisztian (center blue shirt) is attending for the second time this year. 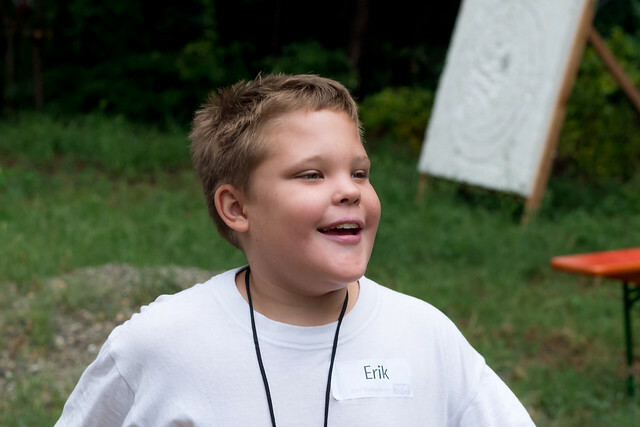 His teachers commented on how much more involved he is in discussions, in singing and overall how much he loves being at camp. 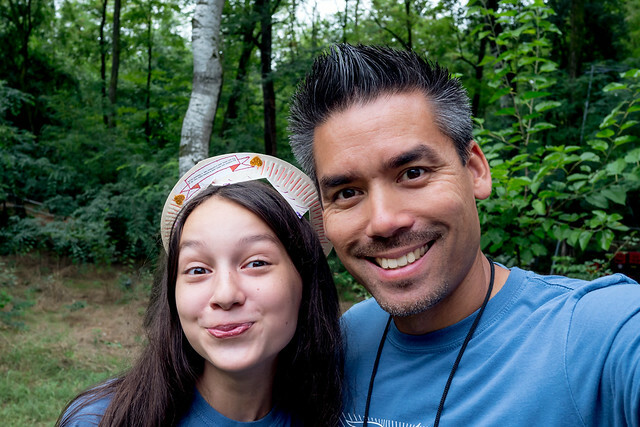 Krisztian will also be joining us in just a few days as we have a follow up camping trip planned for the teens. There is a sense that Krisztian is close to making a decision. Please pray for him. 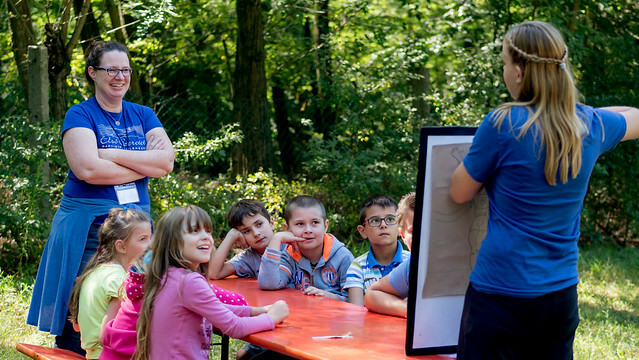 Above: As VBS was being planned, the team found out that there needed to be an official person with the right papers that could do the kitchen work and that there would be an inspection while camp was going on. We didn’t have such a person or the right papers. Soon after, a woman from Petofibanya named Frida (pictured in white above) asked if she could work with our church in some way to fulfill needed practice hours. It turned out that she had just the right papers we needed! 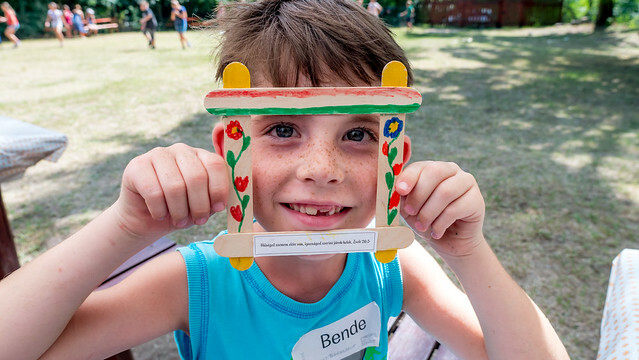 Praise God for providing what we needed and for allowing Frida (along with her child) to experience all that God wanted to reveal to them at VBS. 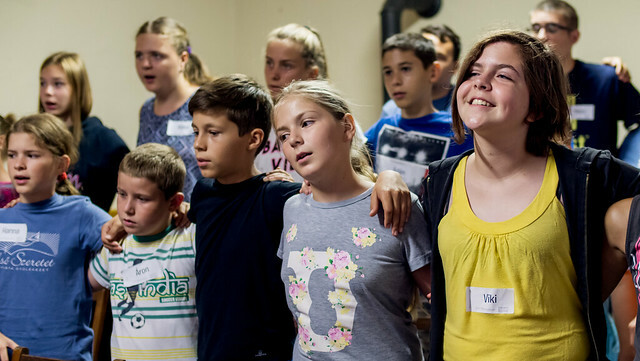 Above: Some of the older kids and leaders presented a drama for the kids at the end of each day telling the story of King David and lessons they could apply to their own lives. 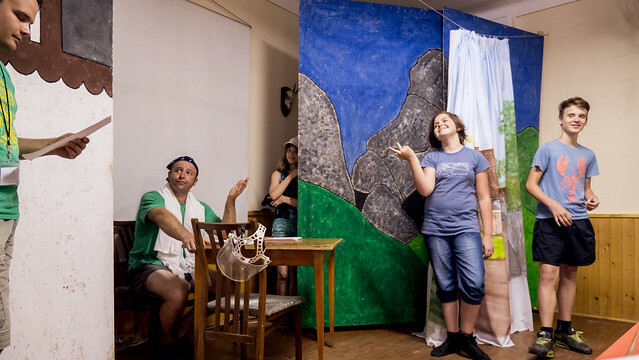 The story does an excellent job weaving the Gospel through the events and one of the main characters played by Szabi (blue shirt far right) makes a decision to give his life to Jesus in the drama. But in real life, this is just what happened to Szabi just two weeks ago at English Camp! 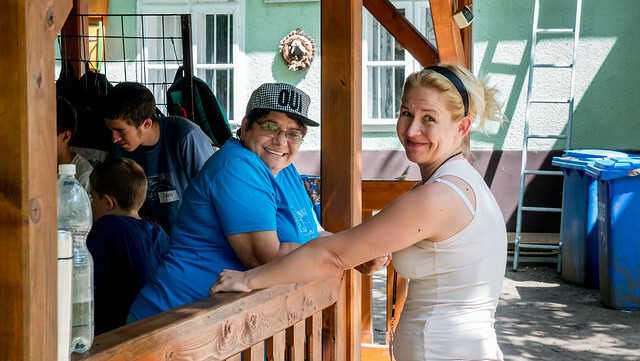 Above: Viki (yellow shirt) began talking to her mom Hajni (a church member) after one particular day where her group shared multiple testimonies of how they came to put their faith in Jesus. Viki came to understand that it was not enough just to know about Jesus, but she needed to make a personal decision to put her faith in Him. The next day we were able to meet with her and she gave her life to Jesus! Hajni recounted that even earlier this year, Viki was very resistant to coming to church and was not interested in spiritual things. Praise God for doing a miraculous work in her daughter’s heart. 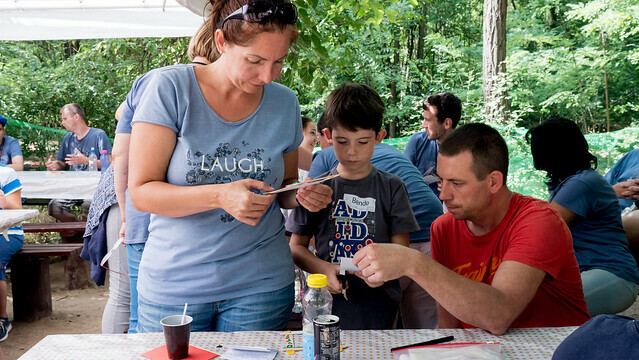 Above: Hajni with her husband Tamás who has visited church and come to our VBS the past two years but shows no interest in pursuing Jesus. 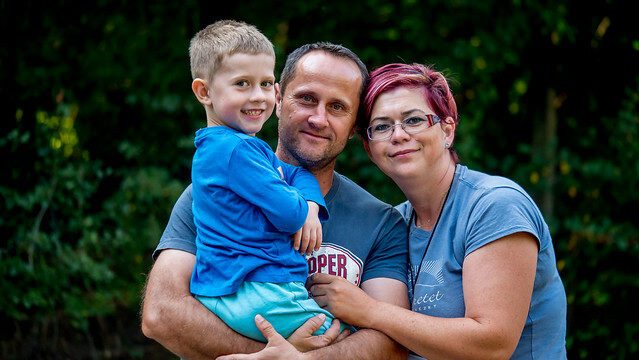 Please pray for her husband Tamás and for God to strengthen and bless Hajni and Viki as they follow Christ. 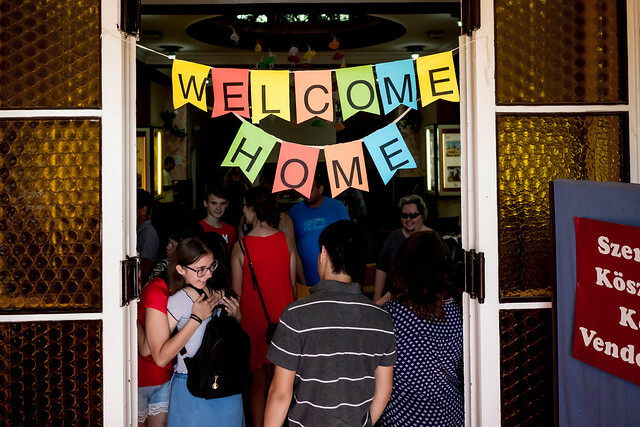 Above: On the last day of VBS, parents were invited, and we praise God for a good number attending. 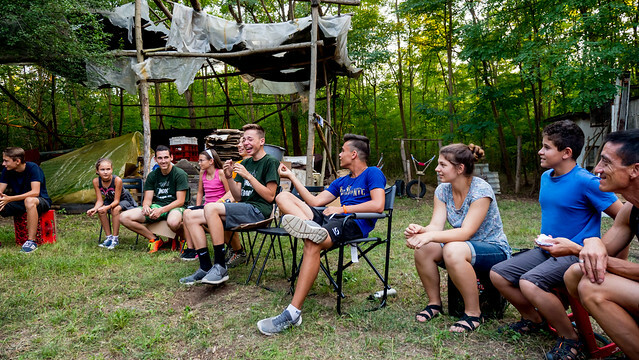 Miki shared that he had good conversations with Tamás (blue shirt center) about the Gospel. Tamás is seeking for truth in life and has explored many different religions. He is related to Margit who is a church member in Jászfényszaru. Please pray for continued open doors with Tamás and that He may find Jesus who is the Way the Truth and the Life. Above: While the kids broke off into their small groups, we held a small group time with the parents who attended. We discussed the story of the prodigal son and were able to share testimony from our personal lives about how we found salvation and life in Christ. 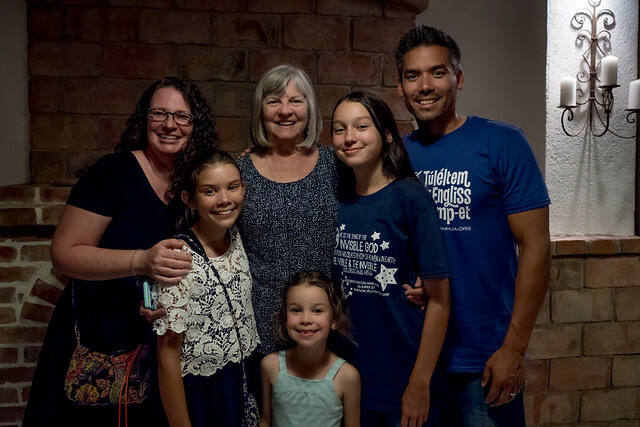 I was thankful for the openness of the group and for how some parents who were attending for the first time were willing to answer questions and share about their lives. Later on in the day, I was able to sit and eat with some of these parents. 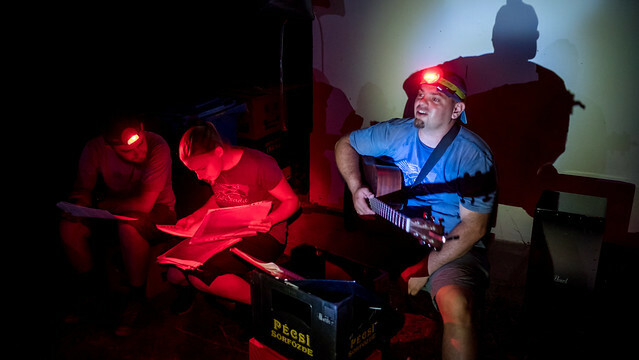 They commented on how this camp was so unique and that all the people had something different inside of them that they just couldn’t find in the world. I was able to share with them that we had found God’s love through Jesus Christ and that He is the reason we are different. 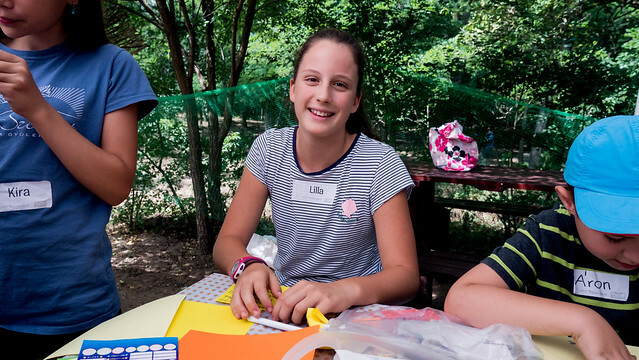 Above: On the last day of camp, Lilla came to Hajni and shared that she would also like to make a decision! We sat down with her and went over Scripture explaining the Gospel and Lilla understood and decided to pray and put her faith in Jesus. Unfortunately, Lilla is one of the few campers that is not local but was staying with relatives over the summer locally. Praise God that she was able to come and hear the good news. Please pray for God to direct her steps and to lead her into opportunities to mature and grow in her faith. 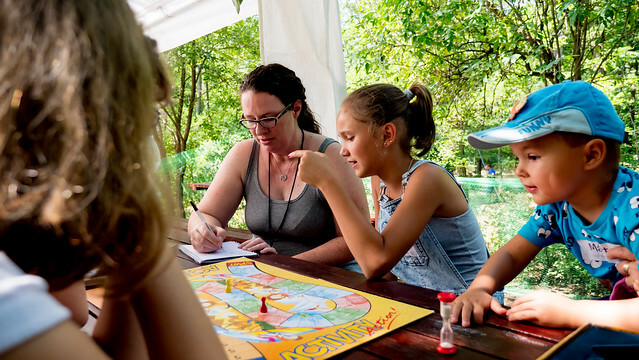 Above: On the last day of camp, Sharon was able to spend some time with Lili who was also thinking seriously about making a decision to put her faith in Christ. Sharon was able to encourage Lili with things she had learned over the years with Jesus and invited Lili to church. 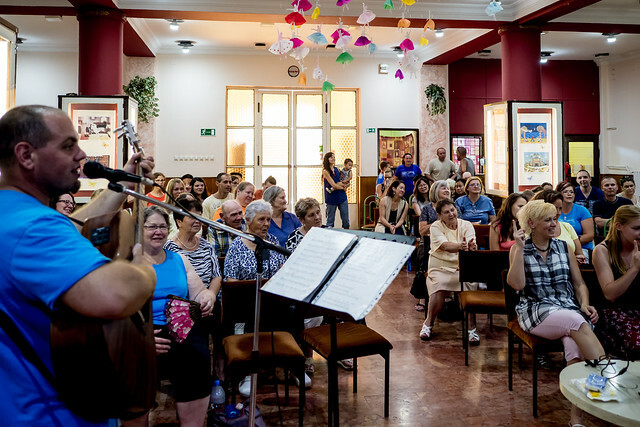 Lili attended church previously, but because of various challenges in her family, she was not able to attend even though she had a desire. Sharon ended up calling her mom Noémi who made a decision and was baptized last year but since then has stopped attending. Sharon offered to pick up Lili for Sunday worship service, but in the end, Noémi ended up bringing her daughters herself on Sunday. After our time of singing worship songs together, Lili went outside with Hajni and Sharon, sat in the shade on a bench and talked more about faith in Jesus. 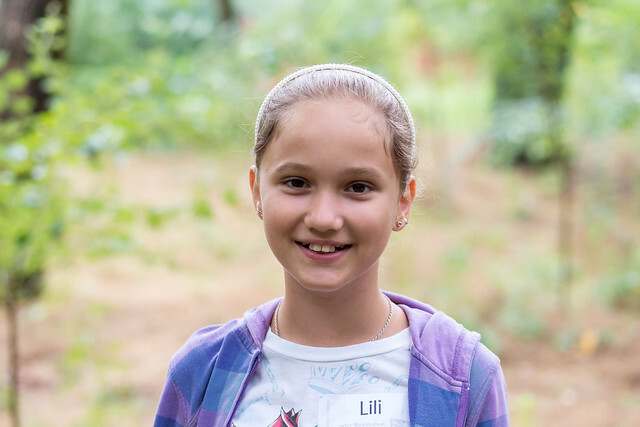 Praise God that Lili decided to put her faith in Jesus Christ! 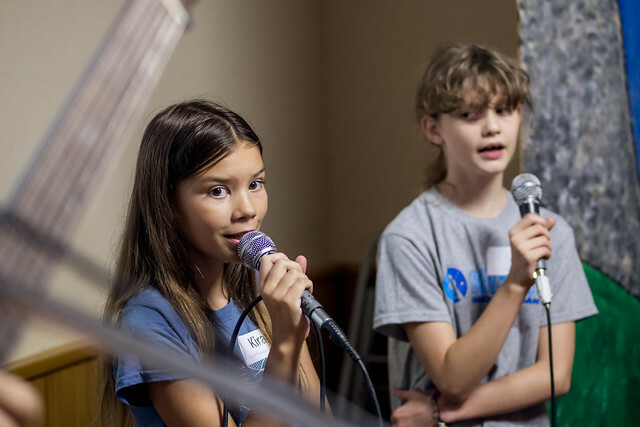 We rejoice in seeing a new generation respond to God’s good news that Jesus is their Savior and their Lord! 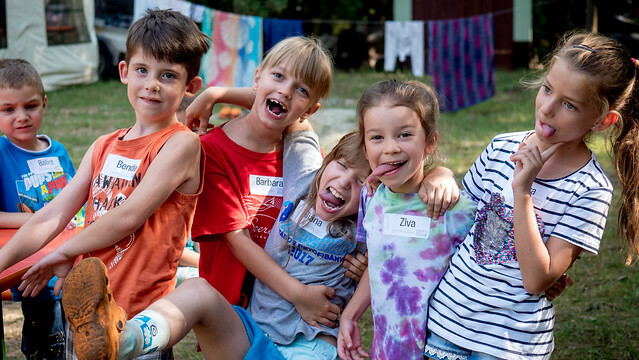 Szabi just a few weeks ago in English camp and Viki, Lilla and Lili have turned to our Lord and could now use your prayers as they have many challenges ahead. 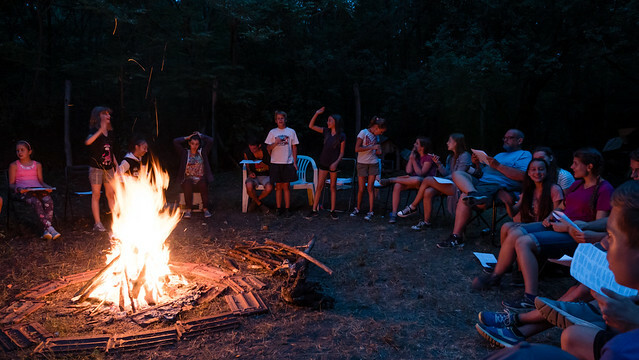 On Thursday, we will have a follow up camping trip for the teens. 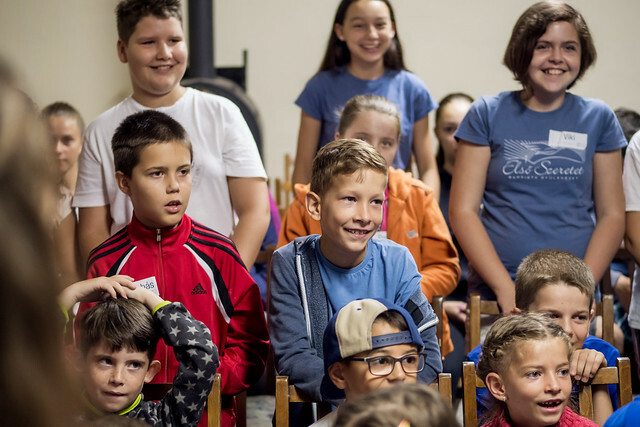 This is another great opportunity before summer ends and the school year begins to help them know God’s will for their lives and His tremendous love for them. Please pray for all of us involved in the planning and serving at camp that we be used to truly bless these teens. Pray for those that are already believers to be strengthened in their faith and commitment to follow Jesus and for those who are not yet believers to be moved by the Spirit to understand and believe in Jesus. Thank you for your prayers! 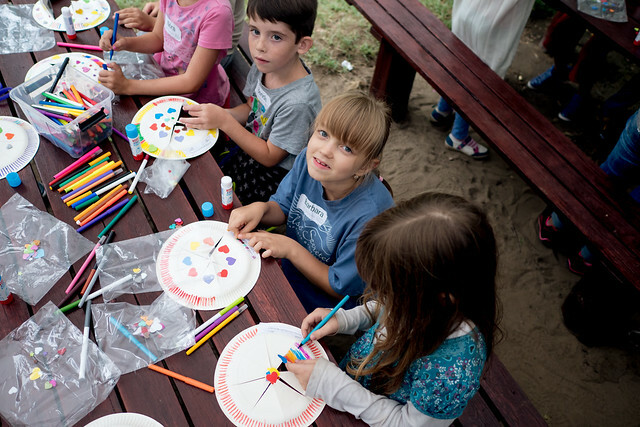 Here are some films from VBS in Jászfényszaru. 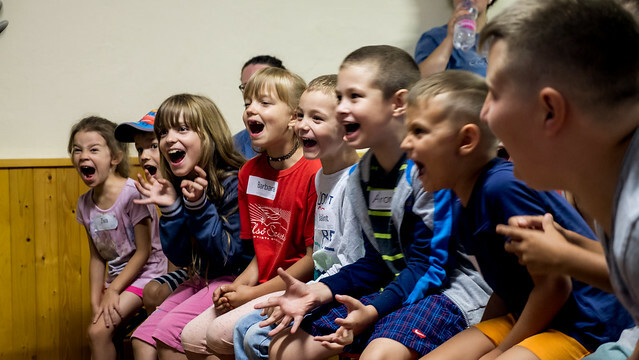 Enjoy and praise God with us for how He used this VBS for His glory! Above: A loving welcome back to Hungary. We were greeted with much love as we returned to Sunday worship service in Petofibanya after a six month furlough in the US. Above: It was a blessing to see how God continued to sustain and build the church even after the split that happened in February. 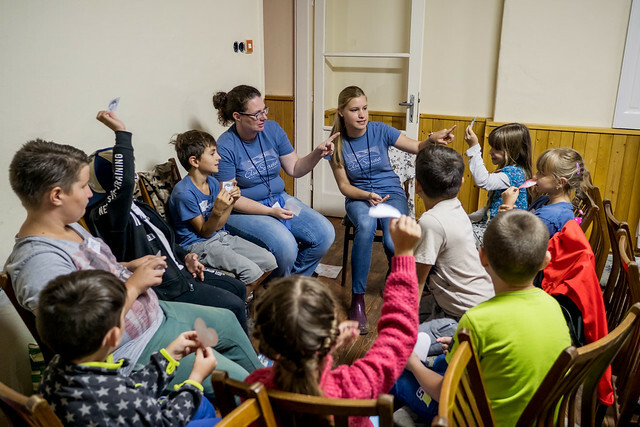 Above: After a great English Camp, serving with long time friends like Karen (above center), we prepared for VBS in the town of Jaszfenyszaru. This is a town our team has worked in for the past few years and God continues to open up doors of opportunity to share Jesus with those who have limited to no religious background. 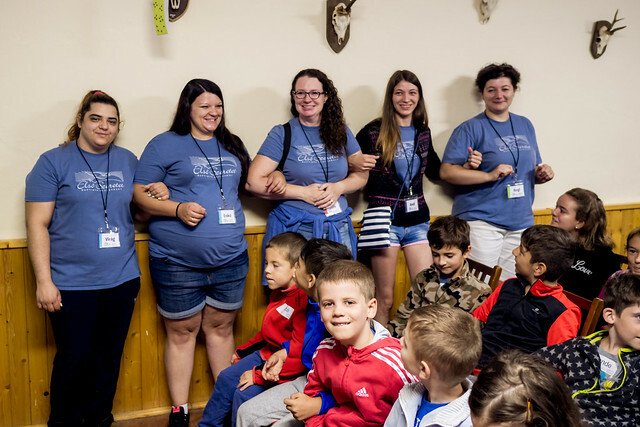 This is only the second year we have held a VBS in this particular town and we were excited to see many first time campers signed up after hearing about us through others in the community. 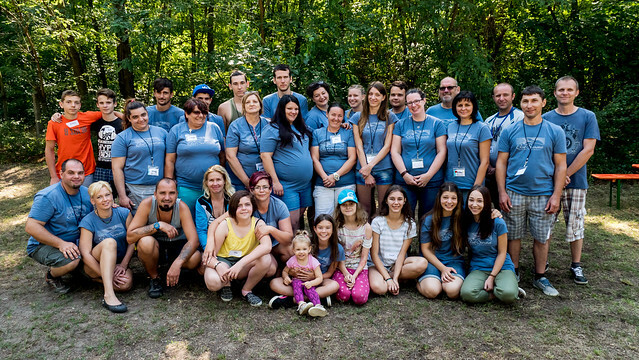 Above: Those who make up the team serving in this VBS are from Petofibanya and Jaszfenyszaru. 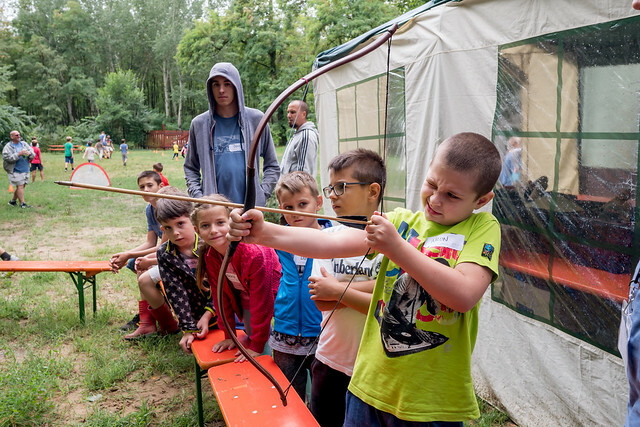 This has been a great way for believers from Jaszfenyszaru to mature in learning from those who have served many times before in Petofibanya and gives them opportunity to use their giftings to reach their own community. 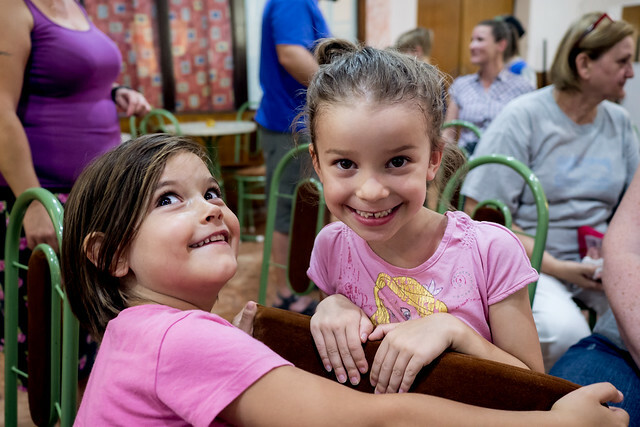 Above: Zita (above center) reported that in her small group discussion time, one of the new children began asking very deep questions about God. 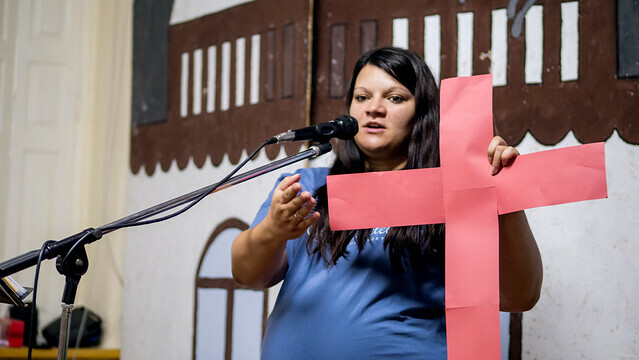 This gave her opportunity to get to the Gospel and help the kids understand what God reveals about Himself in His word. Above: As the time drew near for the kids to be outside for freetime-activities, the rain was still coming down. Some of the team gathered and asked the Lord to bring change and by afternoon, the sun came out and the rain clouds departed. Praise God for a great first day! We would appreciate your prayers as we seek to use this VBS to extend the love of God to these kids and reveal the truth of the Gospel. 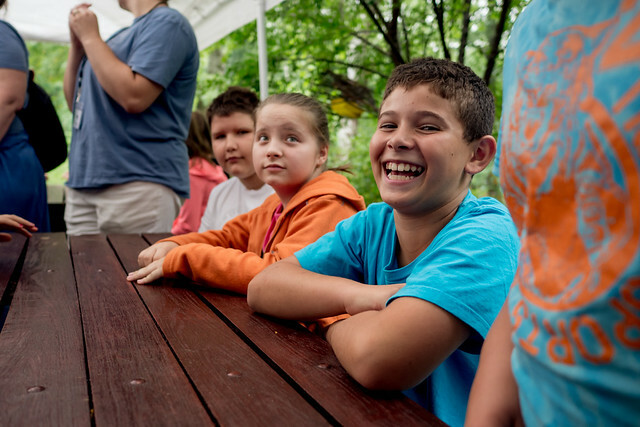 — For first time campers who are hearing the Gospel for the first time. 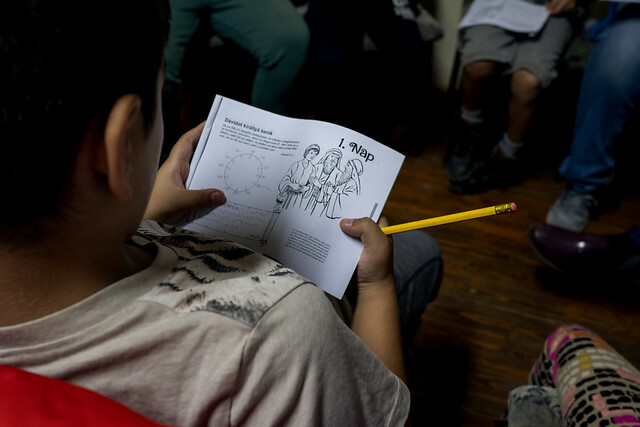 — For the teaching time and small group time to lead to good conversations about Jesus. — For the team to remain unified and have the rest and strength needed to serve. — For protection from sickness and injuries.